We like to check the box. We quickly categorize. We think in black and white. Therefore, we also like to feel in black and white. Happy or sad. Angry or joyful. Disappointed or at peace. My education, training and professional experience have always taught me that this black and white thinking is simply not how we are wired. But our society does not embrace this much and the messy complicated gray of feeling too much of anything, let alone feeling conflicting things at the same time, has many of us are numbing and self-medicating ourselves to the utter loss of us. However, I did not truly learn and embrace giving myself permission to feel it all, and feel it all at the same time, until going through and surviving the infertility journey. Losing three babies, not being one of the success stories and choosing to define my own happy ending means I must choose to live the rest of my life making the room to feel it all. Parts forever missing and yet choosing to do the work to be whole. Through giving ourselves permission to feel it all, all at the same time, we allow ourselves to move the the dark. With this work, we make room for the light. My hope can no longer be that everything works out the way I wanted. My hope can no longer be that if you just try hard enough, never give up and do everything right, you will get what you think you deserve. My hope is moving through the dark to make room for the light. My hope is in trusting there are no mistakes and choosing to do the work to respond to it with love, light and courage. When hope grows up we give ourselves permission to feel it all, and to feel it all at the same time, because only then does our light shine. Tomorrow we'll talk owning our enough; our truth. 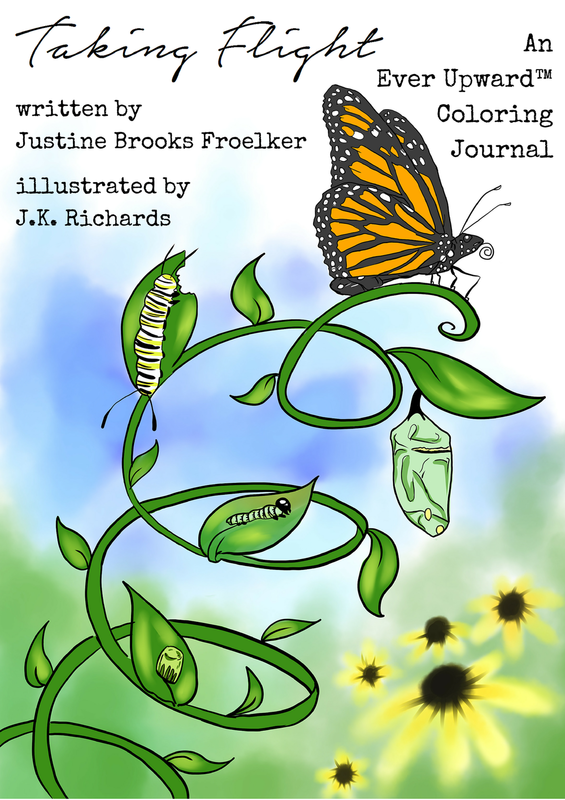 Don't miss my new coloring journal, Taking Flight, now available via CreateSpace! !